Chimanceaux - meherbabatravels jimdo page! Aramis (1923-26) - later Chenonceaux ( 1926 - 1948 ). 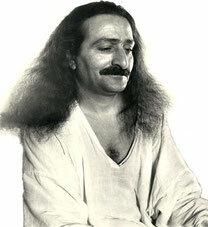 The men mandali sailed from Bombay on the 24th March 1932 to Shanghai, China. Ordered by the State to Forges et Chantiers de Gironde in Bordeaux from the same plans than D'ARTAGNAN, she was to be called ARAMIS. Launched on March 22, 1922, during the tests in 1923, the turbines appeared unusable and the ship is refused. Replaced by two alternate machines, she carries out her first departure bound for Far East on March 11, 1927. 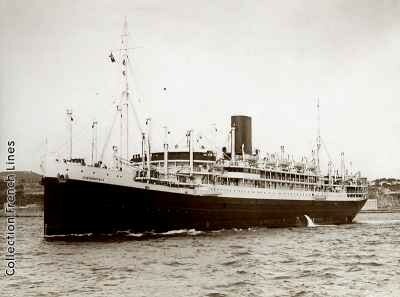 From 1936, alternates this service with that of Indian Ocean. In 1938 she strands in front of Hong Kong with damage of propellers and stern post. September 22, 1939, belonging to the convoy L1 returning from Beirut, all fires extinguished, she is collided on starboard at the height of hold 2 by MARIETTE PACHA of the L3 convoy at the time of the crossing of both convoys by 36°08'N. and 13°00'E. Helped by the tug boat ROYSTEER, she joins Malta where she enters for repairs. 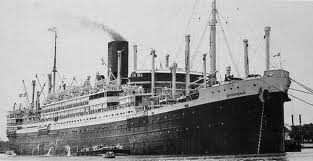 Requisitioned at the departure of Malta on February 18, 1940, she is collided by the Swedish MANSURAA in the southwest of Carthagene and she joins Oran for repairs. She embarks in Brest the troops intended for the campaign of Norway which she leaves on April 21, 1940 (convoy FP3) to disembark them in Harstad. She repatriates the troops at the end of May on Brest and will be mentioned in the dispatches of the naval force. 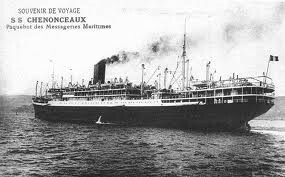 In May 1941, she accomplishes a voyage Marseilles-Diego Suarez-Saigon-Marseilles, during which she succeeded not to be hailed by German corsair TAMESIS in the south-west of the Cape Sainte Marie in the south of Madagascar. Laid up at her return, she is used as housing and school for the cadets officers of the merchant navy until 1943. She is then delivered to Germany within the scope of the agreements Laval Kaufmann, led in 1944 in Canal de Caronte. On July 18, she is towed to Marseille and is moored to the pier of the harbour where she is scuttled on August 21. Work of refloating begins in October 1945 and continues until May 1948. 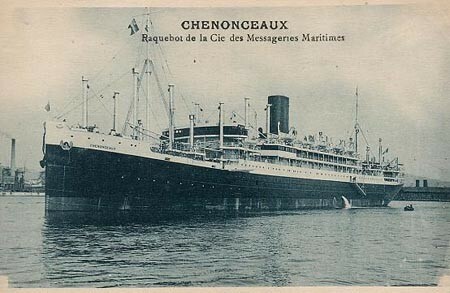 June 17, 1948 she is sold for breaking up in La Seyne.